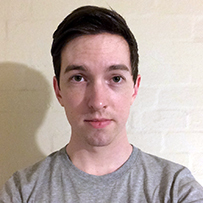 In 2011 James began studying Chinese at The University of Melbourne to complement his existing knowledge of Japanese, which he also continued studying at university. By second year, James was enjoying both languages and the way they were taught so much that he chose to major in Chinese and complete a concurrent diploma in Japanese, allowing space for him to pick up a minor in international relations as well. In 2012, James was fortunate enough to receive the Sakata scholarship due to his language ability, which greatly improved during his time studying at the Asia Institute. This also proved to be great motivation to continue his Japanese studies. In late 2012, James was also chosen to participate in the Japanese government's Kizuna project, wherein students from outside Japan partook in a two-week trip to Japan in order to raise international awareness about the ongoing effects of Japan's 2011 Tohoku earthquake and tsunami disaster. This experience was extremely eye-opening, and further fuelled his desire to better his foreign language ability and orient his career in a direction wherein he could help those from disaster-affected areas such as Tohoku, Japan. The Asia Institute Graduate Community Award was established to acknowledge the achievements of graduates who have contributed to the Asia Institute’s mission - promoting Asia literacy and connecting Asia and Australia - and who have demonstrated excellence in the University of Melbourne graduate attributes of working and contributing as active global citizens. The award recognises graduates whose service and contributions have made a significant difference, inspiring others to follow in their footsteps. Below is a list of award recipients and their achievements. 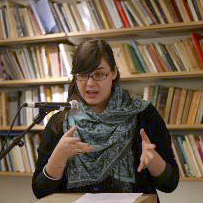 Anatoli Amanatidis graduated from her Bachelor of Arts in 2011, majoring in Japanese and Political Sciences. Anatoli's community involvement stemmed from an opportunity that arose within the Asia Institute to volunteer for the annual Melbourne Japanese Summer Festival (Natsumatsuri), supported by the Japanese Chamber of Commerce and Industry, Melbourne Inc. and the Japanese Society of Melbourne (JCCI-JSM). Through this role, Anatoli prepared a range of documentation for the steering committee and also secured an increased amount of funding for the festival from both government and private industry sources. She then co-coordinated the festival’s 100 strong volunteer cohort from 2012-2013, where she was interviewed by New Game Plus and Japandaman as a spokesperson for JCCI-JSM. Anatoli was a part of the team that was able to see the Natsumatsuri grow from its humble beginnings in Melbourne's Docklands, right through to its current home at Federation Square. She then also co-presented the Natsumatsuri in 2016, with fellow University of Melbourne alumnus Daniel Drentin. Anatoli has also been asked to co-present the 2018 Natsumatsuri, a decision based on her ongoing commitment to the Festival and passion for Japanese culture. In addition to Anatoli's commitment to the Japanese community, she has also become involved within her own local community, and one of Melbourne's largest community representations: the Greek community. She has been the youngest ever Director to be nominated to the Board of Pronia, an ethno-specific community services based organisation, established in 1972. Her nomination was supported by the fact that she is a third-generation Greek Australian who understands the value of youth input into community affairs and succession planning. Recently Anatoli also received a scholarship from the Federation of Ethnic Communities Councils of Australia to participate in their bi-annual conference in Darwin: Celebrate, Reflect, Advance: Our Multicultural Australia. Aside from her commitments to Pronia, for the past three and a half years Anatoli has also been a member of the Senior Dance Group of the Central Pontian Association of Melbourne and Victoria 'Pontiaki Estia', a local community group, preserving the cultural artforms of dance from the Pontos region, which is now the Black Sea coast of modern-day Turkey. Influenced by her teachers of Japanese during her Bachelor degree, demonstrating a commitment to languages learning, and together with the Hellenic Australian Chamber of Commerce and Industry, Anatoli published a research brief on the teaching of Languages Other Than English in Victorian Primary and Secondary schools. Since then, she has also been able to utilise her well-honed research skills to put forward a proposal for the Asia Pacific Association for International Education in Singapore 2018: Konnichiwa? Impacts of the Monolingual Mindset on Employability. Using her language and intercultural communication skills Anatoli now works as an Education Abroad Advisor at the University of Melbourne, covering Europe, Latin America, China, Japan and Turkey. The Asia Institute congratulates Anatoli on her continuing commitment to representing not only her own community, but also the Japanese community, across a range of platforms. Mr Johannis Bayer undertook his undergraduate studies at the Asia Institute from 2006 to 2008. After his graduation, he embarked on the path that led to his current career as a conference interpreter. Over the few past years, this has taken him to the meeting rooms of heads of state and government, including the Presidents of the European Commission, Council and Parliament during their meetings with the Chinese President and Premier. Such meetings require the interpreter to handle the complex challenges posed by the subtle nuances of diplomatic language and the knowledge of global affairs needed. His work has also allowed him to interpret for international companies such as Volkswagen, Jaguar Land Rover, Bain Capital, Rothschild, Aon and Huawei, and participate in negotiations on mergers and acquisitions, where the languages of law, finance, accounting and specific business segments come together. Working as a conference interpreter for the European Institutions, international organisations, government ministries and multinational companies is immensely stressful, but also highly enriching and rewarding. Johannis' assignments have taken him to the US, Europe and Asia - in addition to the many work trips to China's megacities - allowing him to mediate between Chinese, European and North American perspectives in Chinese, English and German. But conference interpreting also comes with significant responsibility: In today's globalised world, where China and other countries are moving closer together, professional language services are increasingly vital to global success. Seemingly simple words like "isolation" or "small and medium-sized businesses" may carry a different connotation in Chinese. Sensitive meetings require a linguistic and cultural balancing act. However, seeing attendees at a conference or meeting actively take notes, nod and raise questions on the basis of one's interpretation, or reading about a successful partnership agreement in the news can give an interpreter an immense feeling of accomplishment. This stems from the knowledge that one has just facilitated cross-cultural exchange under challenging circumstances, and perhaps made a small contribution to someone's global success. In 2015, Johannis founded Interlect Interpreters in Shanghai, a high-end interpreting service provider for Chinese, English and German. The company brings together a select team of top-level conference interpreters that provides services to both private and public sector clients, covering fields such as politics, finance, automotive, intellectual property, law, renewable energy, telecommunications and education. 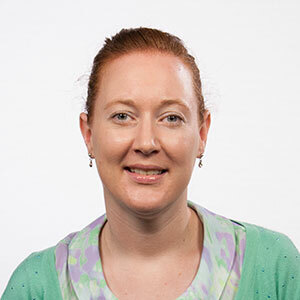 Since graduating from The University of Melbourne in 2010 with a Bachelor of Arts (Japanese) and an Honours degree in Law, Lynden has held senior policy roles in the Australian Government Department of Agriculture and the Department of Premier and Cabinet, Victoria. In these roles she has built Asian literacy and capability in the Victorian community, and strengthened ties with Australia’s key partners in government, industry and business in a number of Asian regions. Lynden’s studies at the Asia Institute and Melbourne Law School, focusing on political, legal, economic and cultural issues in Asia, encouraged her passion for Asian-Australian engagement, particularly Australia’s relationship with Japan. In 2011, Lynden was selected by Japan’s Ministry of Foreign Affairs for their Future Business Counterparts Study Tour, which afforded her an opportunity to meet with Japanese government and business representatives, as well as tour leading business and cultural sites. One of her later career highlights includes providing analysis and advice to help conclude the historic Japan-Australia Economic Partnership Agreement, the most liberal bilateral trade agreement Japan has signed which will benefit consumers, exporters, and citizens in both countries. In her current role as Senior Policy Advisor, North Asia Team, Economic Development and International Branch, Lynden manages Victoria's sister-state relationship with Aichi Prefecture, Japan. The aim of this relationship is to promote understanding and exchange in trade and investment, education, cultural programs and the arts. To this end, Lynden coordinated the Engaging Japan Forum in August 2015, which was attended by over 120 local council and business representatives. The Forum provided information and inspiration to engage with Japan through sister-city/sister-school relationships and business partnerships. Local councils with existing sister-city relationships were honoured with a Certificate of Commendation by the Consul-General of Japan for their commitment to deepening mutual understanding and friendship between the two countries. Lynden has maintained her strong interest in Australia’s engagement with Asia and passion for Australian-Japanese relations. She continues to pursue opportunities to be a bridge between Australia and Asia in both a professional and personal capacity. 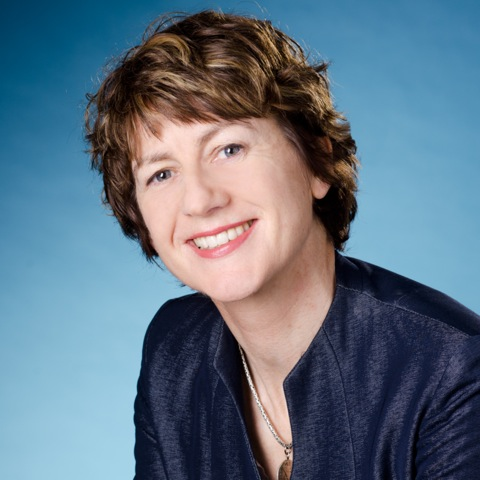 Dr Fiona Hill graduated from The University of Melbourne with a BA (Hons) in Middle East Studies (1987) and a PhD in Anthropology (1994) from research conducted in Syria's northern Euphrates River valley. Fiona established her own business, Almanar Consultancy, to guide engagement with the Arab world through Briefing-Workshops, Commissioned Reports, Professional/Trade and Cultural Tours and Missions to Arab countries, and free Guides and practical insights on dealing with Arabic-speaking people. Her commitment to Arab-Australian intercultural and interfaith relations was nurtured and enabled by her work at The University of Melbourne. Fiona has volunteered continuously for the past 25 years on State Committees and National Boards of the Australian Arabic Council, World Conference for Religion and Peace, Victorian Council of Churches, Australia Arab Chamber of Commerce and Industry, and the Council for Australian Arab Relations. Living in regional Victoria, Fiona is a popular voluntary speaker and workshop facilitator showcasing the Arab world and Islam for Scouts Australia, ProBus, U3A, primary and secondary schools, children’s art initiatives, and regional business networks. In the Arab region, Fiona Hill volunteers her time to speak at tertiary institutions, Chambers of Commerce, and female entrepreneur events to encourage their full engagement in Arabic language and cultural heritage and thereby create bridges with the non-Arabic speaking world. Fiona also created and convened for the Asia Education Foundation The Sense of Islam, a public lecture series (2004 and 2005) showcasing the history, philosophy, law, arts, and contemporary variety of lived Islam. Within Syria, Fiona sponsored rural girls' Baccalaureate studies (now in hiatus), built a community centre for foreign language learning in her 'home' village, founded a highly successful campaign to support refugees within Syria, funds an Arabic teacher in two villages, and currently is establishing a Syrian women's handicrafts project. Since graduating from The University of Melbourne in 2005 with an Honours Degree in Arts (Asian Studies/Politics), Meri has been working at Peace Boat, a Japan-based international non-governmental organisation (NGO) that works to promote peace, human rights and sustainable development. Peace Boat's main activity is the organization of global educational programmes, responsible travel, cooperative projects and advocacy activities, carried out in partnership with civil society organizations and communities in Japan, Asia, and around the world. Joining Peace Boat as an interpreter, Meri utilised the language skills developed during her time at Melbourne, interpreting between Japanese and English during on-board lectures, study and exchange programmes around the world, and at international conferences on topics including gender and disarmament. She continues to work as a professional interpreter, including at the Foreign Correspondents' Club of Japan. Meri's role as Peace Boat's International Coordinator, she is responsible for partnerships with NGO's in Japan, Asia and globally; external communications including media relations, publications and social media; and coordinating international campaigns on peace-building, conflict prevention and nuclear disarmament. She has co-organised conferences including the "Global Article 9 Conference to Abolish War" with 30,000 participants (2008) and the "Global Conference for a Nuclear Power Free World" with 15,000 participants (2012). She also acts as the Northeast Asia Secretariat for the Global Partnership for the Prevention of Armed Conflict (GPPAC), coordinating activities on regional security and reconciliation, including a civil society parallel Six Party Talks programme engaging with North Korea; regional dialogue on territorial disputes; cooperation between history educators on textbook issues; and working with regional governments and the United Nations on relevant policy issues. Meri’s role at Peace Boat has also allowed her to continue many activities bridging Japan and Australia. She has organised visits to Sydney and Cairns of 1,000 Japanese on board the Peace Boat for study and exchange programmes on indigenous rights, sustainability, and multiculturalism; and programmes with Sydney University's Centre for Peace and Conflict Studies, where she has also guest lectured and contributed several book chapters on Peace through Tourism. In 2008 Meri organised a visit of 100 Hibakusha (survivors of the Hiroshima/Nagasaki atomic bombings) to Sydney, where they gave testimony, featured on national news programmes, and met indigenous Australians affected by nuclear testing. Also on the nuclear issue, she was a civil society coordinator for the Japan-Australia government-led International Commission on Nuclear Non-proliferation and Disarmament (ICNND) launched by Kevin Rudd. More recently, Meri coordinated programmes for volunteer groups from Australia to areas affected by the 2011 Great East Japan Earthquake and Tsunami, sometimes in collaboration with the Australian Embassy in Tokyo. She has also organised visits of Australian health experts, NGO leaders and politicians to Tokyo and Fukushima, Australian speaking tours of Fukushima dairy farmers and nuclear experts from Japan, and study programmes to Melbourne for youth from Fukushima to learn about sustainability and environmental issues, providing them respite from their continuing difficult situation in Fukushima and positive hints for their and their community's future. Dr Eeqbal Hassim gained both a Bachelor of Arts (First-Class Honours) in Arabic and Indonesian (2004) and a Doctor of Philosophy on the History of Islamic education (2009) at the Asia Institute, The University of Melbourne. He was awarded a Faculty of Arts Dean’s Award in 2004 and an Australian Postgraduate Award in 2005. Eeqbal has had a long association with the Asia Institute, as a student, as an employee (also of the Asian Law Centre), and as a consultant (working on the widely acclaimed Learning from One Another project). Since his doctorate, he has had considerable influence in the field of education, impacting on schools, curriculum development, pedagogy and educational research at both national and international levels. 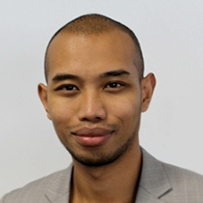 Eeqbal’s current work allows him to promote Asia literacy and build Asia-Australia engagement within the education sector. In the last few years Eeqbal has lead curriculum and pedagogic thinking in intercultural education, international education, Asia education, and global learning, focusing on evidence-informed practice in schools. His passion for education towards meaningful and sustainable social change is enacted in his current leadership role at the Asia Education Foundation (Asialink) as Senior Manager, Curriculum and Research. As part of this role he has initiated and developed a new research arm within the organisation as well as a flagship research series for schools called What Works. Eeqbal works within the national education architecture, collaborating closely with the Australian Curriculum, Assessment and Reporting Authority (ACARA), the Australian Institute for Teaching and School Leadership, and the Australian Government Department of Education. He also works with a whole range of education authorities across the government, independent and Catholic sectors in all states and territories. In addition, Eeqbal works with international educators based mostly in the Asia region. Being part of Australian Curriculum development with respect to Australia-Asia engagement and intercultural understanding has enabled Eeqbal to play a significant role in determining the kinds of Asia-related content, perspectives and capabilities that all students in Australian schools study from Foundation to Year 10 (involving 9500 schools, 3.6 million students and 260,000 teachers). As part of this work, he sits on both the General Capabilities Advisory Group and the Cross-curriculum Priorities Advisory Group at ACARA. The media, both national and international, has profiled Eeqbal’s work in the field of intercultural education, including a full-page profile in The Age in 2010. He has published extensively in the field of intercultural and international education and is an acknowledged thought leader in the field, with repeated recognition by UNESCO. He is currently the education resource developer and advisor for the newly established Islamic Museum of Australia, and also is a Council Member of the Asian Studies Association of Australia.